What is a Pennsylvania mechanics' lien ? 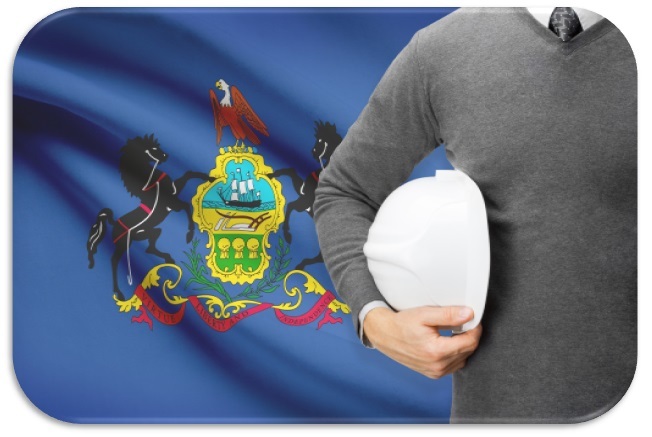 The Pennsylvania mechanics lien law is legislation that was enacted to protect workers, subcontractors, suppliers and contractors from not getting paid for services provided on construction projects. The purpose of the PA lien law is to allow those who improve property, and are not paid for their work, to use that property as a type of security or collateral, with the right to foreclosure upon it or sell it if the owner is unable to pay for the improvements. A mechanics lien in PA is filed with a local protonotary, and is recorded on the land records of the improved construction project. In Pennsylvania, those liens filed on the land records of private property attach to the property, making it difficult for the owner to sell it or for the owner to otherwise transfer the property. Liens also make it difficult for the owner to finance, or refinance, a mortgage. When a lien is filed on a public project, instead of being filed on the real estate, the lien freezes the funds. PA mechanics lien law makes the filing of a lien claim especially effective for obtaining payment. When a mechanics lien is filed, owners often attempt to quickly resolve the lien so that the property is free and clear of any issues caused by the encumbrance. If a lien is not dealt with by the owner, the person that filed the lien can foreclose on the property, essentially forcing a sale, and get paid out of the proceeds of the property sale. For that reason, a lien on a property is an important tool for getting paid. Who can file a Pennsylvania mechanics lien? Because the mechanics lien law is designed to protect those who improve property, nearly anyone who provides labor or materials to a construction project will have the ability to file a lien on the property. Those who have lien rights include contractors, as well as subcontractors, sub-subcontractors and suppliers who have a contract with a general contractor or a subcontractor, and each of those can file a Pennsylvania construction lien if they are owed money for work or materials provided to improve the project. The broadness of the PA lien laws is a great advantage to those who provide work or materials to construction projects, allowing them to file a lien on a property when they are not paid for services rendered. Are pre-lien notices required to file a Pennsylvania mechanics lien? Because the Pennsylvania lien law provides so much protection to those who work on a project, it is also very strict with its requirements, which include notices and warnings to the owner before the filing of a lien claim. It is strongly recommended that everyone on a jobsite provide a preliminary Formal Notice to Owner or Notice of Furnishing letting the owner know that they are working or providing materials, and what it is that they are doing. This often speeds up payment, but at the very least gives the owner knowledge of all of the people who are performing work on the project. A Notice to Owner should be sent at the beginning of the project to maximize payment opportunities and lien claims. Subcontractors, suppliers, and sub-subcontractors must serve a formal notice of intention to the owner declaring the subcontractor's intention to file a Pennsylvania mechanics lien. The formal notice of intention must be filed at least thirty (30) days before an actual construction lien claim is filed by the subcontractor. A Notice of Non-Payment, when payment is overdue, is also strongly recommended, and solidifies your lien claim. Can you file a Pennsylvania mechanics lien without first filing a pre-lien notice? Notice of Intention to File a Lien: Filing a notice of intention to file a lien is generally required in Pennsylvania prior to the filing a lien claim. This allows the owner an opportunity to resolve any payment issues before a lien is filed. In short, the Notice of Intention to File a Lien in Pennsylvania is required for subcontractors, suppliers hired by a contractor, and sub-subcontractors. General contractors can also file a NOI. Notice of Furnishing: The Notice of Furnishing (NOF) is a newer requirement that the Pennsylvania mechanics lien law put in place effective in 2017. The purpose of the Notice of Furnishing is to provide an owner with notice that a subcontractor or supplier are providing labor or materials to the project, so that the owner knows who is working on the project and knows who should be paid for work performed. Projects that have a value of over $1.5 million should be registered with the State at the following website: Pennsylvania State Construction Notices Directory. Subcontractors and suppliers should review this site for all of their projects: if a project is registered on the state website, the subcontractors and suppliers on the job are required to file a "Notice of Furnishing" within 45 days after the first day or work or the first day materials are delivered to the project. If you don't file a NOF within the required time, then the lien rights generally available to a subcontractor or supplier may be forfeited. The forfeit only applies if the subcontractor's contract provided a warning that failure to file the NOF would result in a waiver of lien rights. It should be noted that anyone, including an owner or contractor, who attempts to stop the filing of a Notice of Furnishing is committing a crime: this includes discouragement or putting pressure on a claimant. The crime is a second-degree misdemeanor, and also results in damages to the lienor of attorneys fees and court costs. Notice of Non-Payment: Notices of non-payment are also important because they provide an up to date assessment of who is not being paid. The notices of non-payment are sent to the owner, and are efficient and cost effective ways of allowing the owner to ensure payment is made to the appropriate parties. PA's lien statutes strongly encourage the filing of notices of non-payment. To the extent you have not received payment for work performed, it is to your advantage to send a notice to the owner or its agent, or the contractor, informing them that balances are overdue. When should a Pennsylvania mechanics lien be filed? Pennsylvania mechanics' liens on private property must be filed within six months of the last date the lienor provided materials or services to the Project. How much does it cost to file a Pennsylvania mechanics' lien ? LienItNow.com prepares and files Pennsylvania mechanics' liens. For pricing information, please visit our prices page. Service of the lien is an additional cost since PA requires personal service by the Sheriff in many cases. Do I need a written contract to file a Pennsylvania mechanics lien? No. Oral contracts are sufficient if you have sufficient documentation to show the existence of an agreement. How does filing a Pennsylvania mechanics' lien help me get my money? The Pennsylvania mechanics' lien places an encumbrance on the property that makes it difficult to resell or refinance the property without first removing the lien. LienItNow.com prepares and serves Pennsylvania Stop Notices. A Stop Notice is a notification that has the ability to enhance the effectiveness of a mechanic's lien. A Stop Notice, or a notice to withhold funds, is sent to the company that is financing or funding the construction funds for a project. Once that company receives the Stop Notice, that company has notice that it should withhold sufficient money to satisfy the stop notice claim. The purpose of the Stop Notice is to provide the lender, financiers or funders of the construction project notice that there is money owed to a contractor, subcontractor or supplier so that an inquiry can be made as to why that money is not being paid. What is an Pennsylvania Amendment to a mechanics' lien Claim? LienItNow.com prepares, files and serves Pennsylvania Amendments to mechanics' lien Claims. Amendments to a mechanics' lien claim are often needed when something about the claim changes. Common changes to a lien claim are increases or reductions in the amount due to the lienor, or a change to the last date of work. When should a Pennsylvania Discharge of mechanics' lien claim be filed? LienItNow.com prepares, files and serves Pennsylvania Discharges of mechanics' lien Claims. Once the lienor has been paid the amount contained in its lien claim, or has come to an agreement that requires the lien claim to be removed from the property records, a Discharge of mechanics' lien Claim should be filed. How much does it cost to file a Pennsylvania Extension of a mechanics' lien Claim? LienItNow.com prepares, files and serves extensions of mechanics' lien Claims. All lien claims expire after a certain period of time, and filing an extension of the mechanics' lien claim prolongs the expiration date. Pennsylvania law, however, does not permit an extension of mechanics' lien claims. Can I file a Bond Claim on a Pennsylvania Project? LienItNow.com prepares, files and serves Pennsylvania Bond Claims. Bond claims can only be filed on a project where the owner, contractor or subcontractor has obtained a payment bond to ensure that every contractor receives payment for the work performed on the Project. The payment bonds issued by sureties for construction projects have specific timing requirements, but most require claimants to submit claims against the bond within sixty to ninety days from the claimants' last date of work. Bond claims are as or more effective than a lien claim because the payment bond acts as a guarantee that payment will be made for work properly completed. Do I need to file a Pre-Notice to make a claim against a Pennsylvania payment bond? LienItNow.com prepares, files and serves Pennsylvania Pre-Notices for bond claims. Depending on the terms of the payment bond, pre-notices may or may not be required. LienItNow.com recommends that, prior to or immediately after starting work or delivering materials to a project, subcontractors and suppliers, file a pre-notice that it is a potential beneficiary of the construction project's bond.